More players need to put their hands up in the lead-up to the 2019 World Cup in England and Wales. 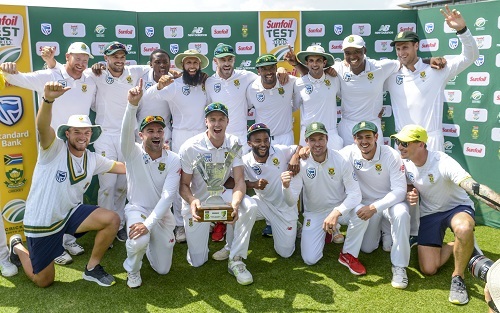 With less than a year until the 2019 World Cup in England and Wales, is the South African cricket team in a good place in one-day international cricket? There are only 16 matches remaining to find their best combinations before they try and win the title for the first time. Yes, they have just completed a 3-2 series win over Sri Lanka away from home, but they were always expected to beat their opponents as they were ranked considerably higher than Angelo Mathews’ men. The way in which they capitulated in the final match of the series in Colombo on Sunday should be cause for concern. Many will argue the series was already won and that they were giving a few fringe players a chance. But to be bowled out for just 121 in less than 25 overs must be of grave concern to coach Ottis Gibson. Secondly, the leadership looks bare in the absence of injured Faf du Plessis. Earlier this year, when Du Plessis was out of the Indian series, the Proteas lost four of the five matches with Aiden Markram in charge. In Sri Lanka, stand-in skipper Quinton de Kock lost both matches in charge after Du Plessis flew home, albeit one that was a reduced hit-and-miss affair. More players need to put their hands up in the lead-up to the World Cup. If not, it points to another miss at a big-stage tournament.